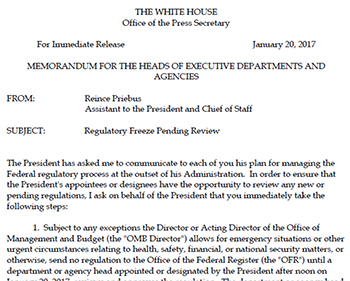 On February 24, 2017, President Trump signed an Executive Order (EO) directing the heads of federal agencies to designate a Regulatory Reform Officer to oversee the implementation of regulatory reform initiatives including the directives set forth in his previous EO issued on January 30th. As reported previously, the January 30th EO establishes a “regulatory cap” for fiscal year 2017 and requires federal agencies that propose for public notice and comment or otherwise promulgate a new regulation to identify at least two existing regulations to be repealed. In addition, the January 30th EO stipulates that for fiscal year 2017, the total incremental cost of all new regulations, including those that have been repealed, must be no greater than zero unless otherwise required by law or consistent with written guidance from the Office of Management and Budget (OMB). In addition to calling for the appointment of a Regulatory Reform Officer, the February 24th EO directs each federal agency to establish a Regulatory Reform Task Force that will have responsibility for evaluating existing regulations and making recommendations to the agency head regarding the repeal, replacement or modification of existing rules. Federal agencies that issue few or no regulations could seek a waiver from OMB exempting them from the requirements of the EO. A list of agencies with current waivers will be published by the OMB at least every three months. 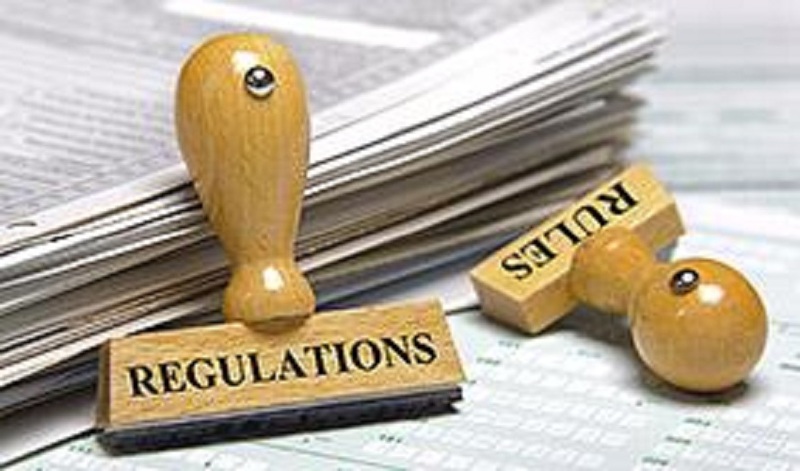 In performing its duties, the Regulatory Reform Task Force is instructed to identify regulations that eliminate or inhibit job creation, are unnecessary or ineffective, and impose costs that exceed benefits. In carrying out its charge, the Regulatory Reform Task Force is directed to solicit input from state, local, and tribal governments, small businesses, consumers, non-governmental organizations, and trade associations. Within 90 days from issuance of the EO, the Regulatory Reform Task Force must provide a report to the agency detailing its progress in carrying out these obligations. On February 14, 2017, CPDA wrote to then-EPA Acting Administrator Catherine R. McCabe requesting that pesticide registration actions under PRIA be exempt from the regulatory freeze established under a January 20, 2017 White House memorandum mandating a temporary hold on all new or pending regulations so as to allow the Administration sufficient time to review these rule for questions of “fact, law and policy.” The memorandum, issued by Reince Priebus who serves as President Trump’s Assistant and Chief of Staff, sets forth a Presidential directive prohibiting all federal agencies from sending any regulation to the Office of the Federal Register (OFR) for publication until a department or agency head appointed by the President reviews and approves the rule. Rules that have been sent to the OFR but have not yet been published in the Federal Register must be immediately withdrawn pending review by the Administration. Until such time as the restrictions detailed in the so-called “Freeze Memorandum” are lifted, EPA submission of final rulemakings to the OFR for publication of products approved under PRIA are on hold. The memorandum does include the opportunity for an affected entity to request an exemption to the prohibition on sending a rule to the OFR and/or the necessary rescinding of a submitted but unpublished rule with specific reasoning. The mandate of the Priebus memorandum has resulted in a round of negotiated due dates under PRIA for those applications currently in the pipeline as well as those awaiting the last step of publication in the Federal Register. CPDA has learned that many member and non-member companies have received requests from the Agency for renegotiated due dates of current PRIA actions. It is unclear whether submissions made now or since January 20th will be time-stamped for submission or whether an applicant will be notified of receipt of submission. Exacerbating this situation are reports that the Trump Administration has also ordered a freeze on all new federal contracts (the bulk of PRIA application review is performed under contract). In its February 14th letter to EPA, CPDA cited a provision in the Priebus memorandum which specifically excludes from its mandate those regulatory actions subject to statutory deadlines. CPDA explained that the primary benefit of the statutorily established review timelines under PRIA is to provide certainty and regulatory predictability while allowing for independent review of applications for product registrations. CPDA emphasized that the delay in publication of registration approval in the Federal Register nullifies this benefit and creates a critical situation for the agricultural and pesticide manufacturing and distribution sectors whose businesses depend on the date-certain approval of products so that they are made available for use by farmers during the limited window of the spring growing season. Any delay in making these products available to users, CPDA added, could have serious financial consequences not only for the pesticide industry but for farmers who depend on ready access to these crucial products in making their spring planting decisions. CPDA will continue to keep a close eye on this situation and report on further developments as they occur. 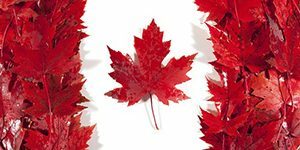 CPDA-Canada focused on the inequities inherent in the “Final Offer Settlement” (FOS) approach to arbitration maintained from the Ministerial Agreement by PMRA and recommended by the Intersol Group in its report to the Agency. The mechanism set forth under PMRA’s consultation document on the new Agreement is essentially identical to the arbitration terms of the existing Ministerial Agreement. Namely, an Arbitral Tribunal is required to choose either the generic company’s “willing-to-pay” final offer or the innovator company’s “willing-to-accept” final offer. CPDA-Canada emphasized that the FOS approach is inappropriate for this type of arbitration and subjects the generic registrant to inordinate financial risk. CPDA-Canada pointed out that there is no evidence that a single registered generic pesticide product was based on an arbitral award utilizing FOS arbitration under the existing Ministerial Agreement since 2010. “Instead of addressing the fundamental cause of this limitation (a severely biased arbitration approach that eliminates the availability of important lower-priced agricultural products to Canadian growers), the Agency seems insistent on perpetuating the problem by maintaining this inequitable and unworkable form of arbitration,” CPDA-Canada stated. 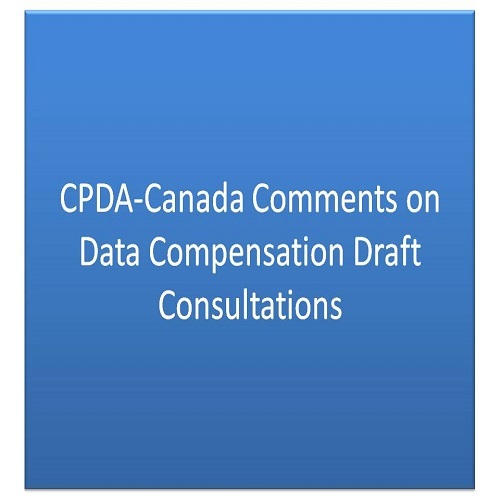 In its comments, CPDA-Canada addressed the lack of provisions in the proposed Agreement that would confer upon the generic company the right to discovery during negotiations and arbitration. CPDA-Canada emphasized that without the right to discovery, the generic company is effectively denied access to the type of information that is necessary in accurately assessing the likely profitability of commercializing the product, especially if the product in question is the first or second generic chemical to enter the marketplace. As such, the generic company is put at a decided disadvantage in making a “willing-to-pay” final offer under the FOS arbitration approach. Moreover, CPDA-Canada pointed out that the proposed Agreement could unfairly subject the generic company to stiff financial penalties in the form of reimbursement to the innovator company for legal costs and disbursements incurred during the arbitration proceedings. This penalty would be applicable in situations where the generic company either withdraws from the arbitration proceedings and/or decides that it would not be economically feasible to move forward with the registration after an award is made. CPDA-Canada called upon PMRA to remedy these impediments to the generic registration process by replacing the FOS approach with an unbounded binding arbitration mechanism (under the Canadian Arbitration Act or CAA) that would include the right to discovery and information sharing during negotiations. CPDA-Canada further urged PMRA to allow the generic company to withdraw from the arbitration proceedings at any time before the award is made without fear of financial penalty and to require that arbitration costs be split between the parties with each party responsible for its own expenses. In addition, CPDA-Canada recommended that the Agreement include timelines of 30 days for negotiations and 120 days for arbitration. CPDA-Canada explained that particularly in situations where the product in question would be the first generic product to enter the marketplace, the innovator company is likely to delay negotiations in an effort to keep competing companies out of the market for as long as possible. CPDA-Canada stated that there is no incentive for an innovator company to negotiate in a timely manner in such situations. However, CPDA-Canada noted that in cases where the negotiations are progressing at a reasonable pace, the parties can mutually agree to extend the time. The result could be a negotiated agreement and a letter of access (LOA) or a request to go to binding arbitration. Lastly, CPDA-Canada recommended that the final offers by the party be shared with the other party when submitted to the Arbitral Tribunal. To read the full version of the comments, please click here. CPDA-Canada also submitted comments to PMRA in response to the Agency’s draft consultation document on the eligibility criteria for compensable protection status for foreign test data as proposed on December 30, 2016. CPDA-Canada expressed its support for PMRA’s clarification of the compensation status of the foreign data the Agency considers during re-evaluations, special reviews, and the registration of generic products calling it “appropriate and needed.” However, CPDA-Canada reiterated the need for PMRA to revise the negotiation and arbitration component of the current data compensation process so as to make it equitable. “Unless the Agency does so,” CPDA-Canada emphasized, “the helpful clarifications of this current proposed action will remain irrelevant to achieving a ‘fair’ and ‘equitable’ data compensation process for timely registration of generic products based on newer chemistries.” To read CPDA-Canada’s comments, please click here. (To learn more about the draft consultations proposed by PMRA please visit our archived news item by clicking here). Health Canada has announced a draft amendment to the Pest Control Products Regulations to revise the current personal use import exemption to prohibit certain unregistered pesticides from entering Canada. Currently, the regulations allow unregistered pesticides to be imported into Canada for personal use when the pesticide is 500 grams (g) or 500 milliliters (mL) or less and when the value is $100 or less. According to Health Canada, the exemption was originally put in place to allow travelers to carry small quantities of a pesticide, such as an insect repellant deemed to pose little or no risk, across the border. However, Health Canada now cites concerns that the widespread use of the Internet to purchase goods online coupled with the increase in international travel could result in the influx of larger amounts of potentially toxic, unregistered pesticides entering the country. Health Canada notes that the Canada Border Services Agency lacks the authority under current regulations to intercept these products before they cross the border. it must be registered or authorized for use in the country of origin (contains a government registration number on its packaging or label). In announcing its proposal, Health Canada indicated that if left in its current form the importation exemption could erode the integrity of Canada’s pest control products regulatory regime. For example, importers could circumvent the quantity limit established under the current exemption by placing many separate online orders via the Internet. According to Health Canada, individuals and businesses could import “virtually unlimited quantities of unregistered pesticides for possible commercial use or resale.” Consequently, products that have not gone through Canada’s rigorous review and approval process could end up occupying a larger share of the Canadian pesticide market thus resulting in lost sales for pesticide manufacturers and increased public health and safety risks. Health Canada’s proposal was published in the February 11, 2017 edition of the Canada Gazette with a 30-day public comment period. The proposal may be accessed by clicking here. The 115th Congress of the United States has convened and one of the most important issues that CPDA and its members are working on is the reauthorization of the Pesticide Registration Improvement Act (PRIA). PRIA was first enacted as part of the Consolidated Appropriations Act of 2004 to establish firm deadlines by which EPA must make decisions on pesticide registration actions submitted to the Agency. As originally enacted, the Act required Congress to reauthorize the program through legislation every 5 years with the current program set to expire on September 30, 2017. A measure, titled the “Pesticide Registration Enhancement Act of 2017” (H.R. 1029), was introduced in the House on February 14, 2017 by Representative Rodney Davis (R-IL) and was favorably reported out of the House Agriculture Committee by voice vote on February 16th. Among its provisions, the bill would authorize the collection of $31 million in maintenance fees for each of fiscal years 2017 through 2023 (current maintenance fees are set at $27.8 million/year). In addition, the measure provides for an increase in the maintenance fee cap for large and small businesses and it continues the current prohibition on the imposition of tolerance fees as well as any other registration fee not specifically authorized by PRIA through fiscal year 2023. In its other provisions, the measure provides for a set-aside of between 1/9 and 1/8 of maintenance fees collected for the review of inert ingredient submissions and me-too pesticide applications. The bill also adjusts registration service fees and decision review times for product submissions subject to PRIA and provides for two 5% increases in registration service fees during the effective period of the statute. A copy of the bill may be accessed by clicking here and a section-by-section summary is available here. The problem of the mismatch between appropriations and fee collections can be easily solved by passing a one-time waiver to release currently frozen funds. CPDA is working with lawmakers to support a waiver process that would allow these funds to be released while maintaining the Congressional incentive to appropriate the necessary funding to support PRIA. The original intent of PRIA was to create an EPA funding mechanism that would completely support the pesticide registration process through funds collected from industry (maintenance and registration fees) as a supplement to the appropriations enacted by Congress. However, due to the failure of Congress to enact the base level of appropriations specified in current PRIA, EPA’s registration program has not seen full funding for the past several years. Over the coming weeks and months, CPDA staff will be visiting with members of Congress to address this issue. With regard to the timing of how PRIA might move through Congress, it is expected that the measure will be the subject of at least one hearing, if not several, all of which will likely wrap up by late spring before the bill is sent to the House floor for a vote. Once approved by the House, the measure will be sent to the Senate for consideration and passage. A joint House-Senate committee must then reconcile any differences in the legislation as passed by both chambers. The bill will then be sent back to the House and Senate floors for a vote before going to the President to be signed into law. The process of moving a bill through Congress can be slow or fast depending on the issues involved. PRIA is expected to move in a “normal manner” with a target for completion either right before or soon after the August recess. 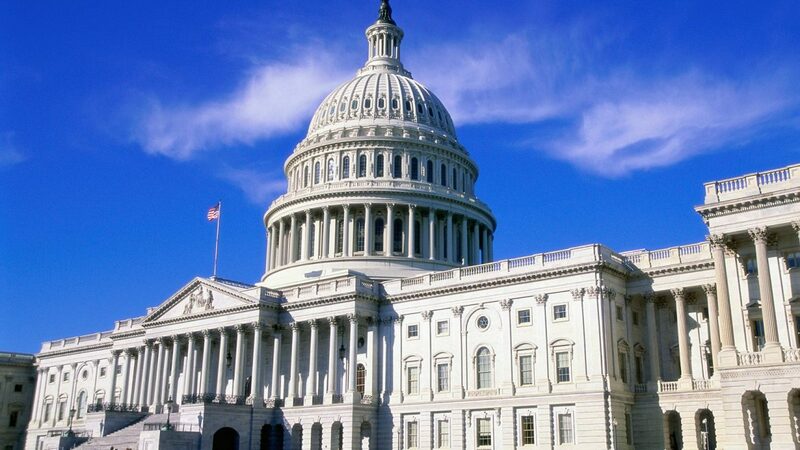 The reauthorization of PRIA will be one of the key advocacy issues to be discussed during the Congressional office visits we are planning as part of the CPDA Legislative Policy Conference scheduled for March 8, 2017. We encourage all member company representatives to attend. Additional information on how to register for the Conference is available by clicking here. CPDA-Canada membership is open to any U.S or Canadian company that manufactures, formulates or distributes agrotechnology products in the United States and/or Canada. CPDA-Canada members have access to the resources of an experienced organization dedicated to advocating for the Canadian agrotechnology industry before regulatory officials and Members of Parliament. EPA is inviting public comment on its interpretation and clarification of the definition of a label “panel” and the placement of first aid statements on such labels based on the product’s Toxicity Category. The Agency’s interpretation and clarification were set forth in a December 2016 memorandum in which the Agency explains that while the Code of Federal Regulations (CFR) does not specifically define the term “panel,” the CFR does nonetheless stipulate that first aid statements must appear on the front panel for Toxicity Category I products and any panel for Toxicity Category II and III products. EPA plans to update its Label Review Manual to reflect this clarification of the term “panel” in relation to the placement of first aid statements on the label for Toxicity Category I products and, in preparation, has established a public comment period ending on March 7, 2017. Comments may be submitted to EPA docket number EPA-HQ-OPP-2016-0545 which may be accessed by clicking here. CPDA welcomes feedback from its member companies on the possible ramifications of the Agency’s interpretation of the term “panel.” Please click here to read EPA’s memorandum. On December 20, 2016 EPA announced the removal of 72 inert ingredients from its list of chemicals approved for use in pesticide products. The use of these substances in the future will require that they go through the Agency’s formal inert ingredient re-approval mechanism, a burdensome process that will require the submission of an extensive amount of data developed through very costly and time consuming testing required to demonstrate the safety of the chemical in question. The type of data needed to evaluate a new inert ingredient includes studies to evaluate potential carcinogenicity, adverse reproductive effects, developmental toxicity, genotoxicity as well as environmental effects associated with any chemical substance that is persistent or bioaccumulative. Some of the 72 inert ingredients are a subset of a larger list of 371 inert ingredients that were the subject of two petitions submitted to EPA in 2006 identifying these substances as hazardous and requesting that the Agency issue a rule requiring that the identities of these inert ingredients appear on the labels of pesticide products containing any of these chemicals in their formulations. 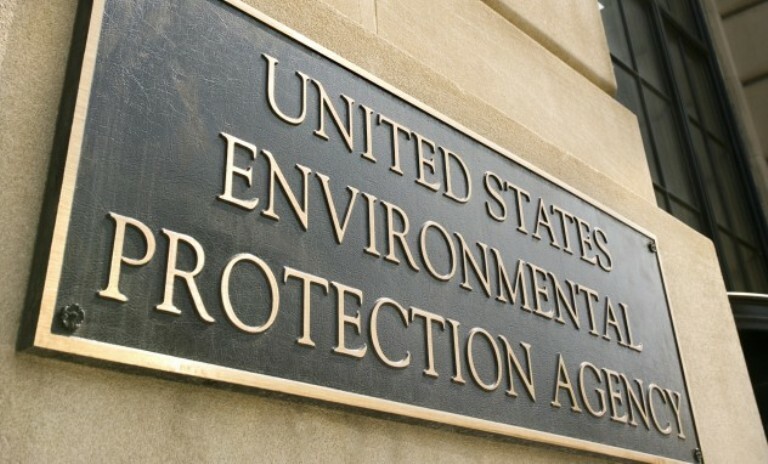 In its initial response to the petitions, EPA proposed an Advanced Notice of Proposed Rulemaking (ANPRM) published in the December 23, 2009 Federal Register. The ANPRM solicited comment on a range of issues including the question of whether a rulemaking should be limited to mandatory disclosure of potentially hazardous ingredients or broadened in scope to require disclosure of most or all inert ingredient identities, regardless of hazard. The ANPRM also sought feedback on other questions such as how disclosure would impact CBI protections for inert ingredients under Section 10 of FIFRA. Subsequently, in a May 22, 2014 letter to the petitioners, EPA announced its decision to abandon pursuit of a rulemaking aimed at mandatory disclosure of inert ingredients. The Agency cited the many complexities surrounding the issue of inert ingredient disclosure as well as the significant staff time and resources involved in the rulemaking process. Instead, EPA set forth a series of alternative actions under consideration that it believed would reduce the presence of hazardous inert ingredients in specific pesticide products. Among these was a proposal to remove from the approved list of inert ingredients those that are no longer being used in pesticide products. The 72 inert ingredients recently delisted by EPA were originally the subject of a Notice published in the October 22, 2014 Federal Register in which the Agency proposed to revoke their approved status. In the Notice, EPA explained that the list of 72 inert ingredients was generated by an Agency evaluation of pesticide product compositional information to determine which of those 371 chemical substances referenced in the 2006 petitions and listed as inert ingredients on the EPA-approved list are in use or not in use in currently registered pesticide formulations. The Agency noted that its proposed action would fulfill one of its commitments as described in the May 22, 2014 amended response to the petitioners. On January 20, 2015, CPDA submitted comments to EPA on the delisting proposal, emphasizing that such action is not in accordance with EPA’s clear obligation under FIFRA to make risk-based decisions about registered pesticides (including their inert ingredients) and not hazard-based decisions based on their appearance on non-FIFRA related lists of hazardous substances. Moreover, CPDA emphasized that removal of these inerts would subsequently require an expensive and time-consuming data generation and reapplication process in order to use them again. CPDA also pointed out that it was not clear from the proposal whether EPA was focusing only on non-food use inerts, and that this delisting could inadvertently adversely affect tank-mix adjuvants that are used on food crops. The ingredients in tank-mix adjuvants that are applied to food crops with pesticides must have a tolerance or exemption from a tolerance. EPA’s review of pesticide formulations to determine whether an inert is currently being used would not have identified those approved inerts that are used in adjuvants applied with pesticides. CPDA therefore asked EPA to confirm that food-use inerts are not part of this delisting, since they may be currently used in tank-mix adjuvants. In addition, CPDA noted that one or more of these 72 inerts may be present in approved inerts as low concentrations of residual impurities such as unreacted monomers. These impurities do not contribute to the function of the inert ingredient, but due to various regulatory list triggers, they may appear in product safety data sheets. CPDA therefore requested that EPA confirm that these residual impurities are not covered by the proposed action. In the aftermath of EPA’s recent decision to remove the 72 chemical substances from the list of approved inerts, CPDA is seeking a better understanding of what factors prompted the Agency to finalize its proposal at this particular time. CPDA will also engage with the Agency on appropriate next steps our member companies should take in response to this development. In so doing, CPDA welcomes input from its member companies on devising a strategy in response to the Agency’s recent and unexpected decision to delist these products. The list of the 72 inert ingredients may be accessed by clicking here. On December 30, 2016, Health Canada’s Pest Management Regulatory Agency (PMRA) published its long-awaited proposed revisions to the Agreement for Data Protection under Section 66 of the Pest Control Products Act (PCPA), currently known as the “Ministerial Agreement” (MA). The MA governs the process by which an applicant for a generic pesticide registration in Canada obtains the right to use or rely on data provided by the basic registrant under the PCPA. The MA sets forth the mechanism for entering into negotiations and arbitration over data compensation and specifies the requirements for enforcement of the arbitral award. PMRA is accepting public comment on the proposed revisions to the MA through February 13, 2017. 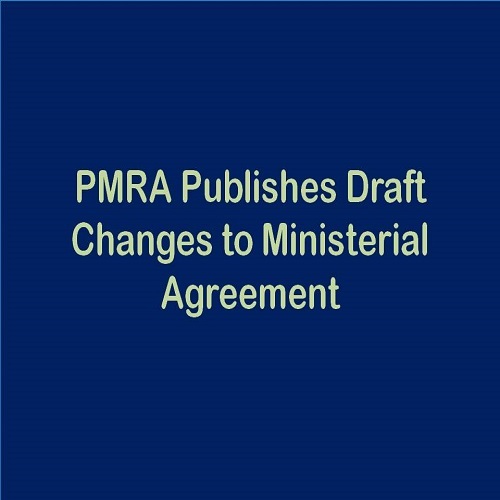 Concurrent with its release of the draft revisions to the Ministerial Agreement, PMRA has published for public comment a consultation document on the eligibility criteria for compensable protection status for foreign test data. This draft consultation document describes the situations under which foreign test data will be eligible for 12 years of compensable protection from the initiation date of the Canadian re-evaluation or special review for the active ingredient. Public comment on this document will be accepted for 45 days from the December 30th publication date of the proposed consultation. The CPDA-Canada Committee is in the process of reviewing both proposed consultations in preparation for the submission of comments to PMRA. Both documents, along with instructions for submitting comment, may be accessed on PMRA’s web site by clicking here. The publication of the two draft consultation documents comes shortly after a December 15, 2016 meeting during which CPDA-Canada President Sue Ferenc and several members of the CPDA-Canada Committee traveled to Ottawa for an update from PMRA staff on possible changes to the Canadian data compensation and arbitration process. The December 15th session was a follow up to a July 28th meeting with PMRA representatives during which CPDA-Canada members elaborated on the need for changes to the Ministerial Agreement that would facilitate the establishment of a fair and equitable data compensation scheme and remove some existing barriers to generic registration in Canada. The December meeting also included a discussion pertaining to a CPDA-Canada Committee “white paper” that was presented to PMRA earlier in 2016. The white paper included a summary of a literature search that was conducted to determine the number of generic products with newer chemistries that have been registered in Canada as a result of the 2010 changes to the data protection system under the “Protection of Proprietary Interests in Pesticide Data in Canada (PPIP)” regulations. CPDA-Canada concluded that there were no generic products with newer chemistries registered since PPIP became effective in 2010. The CPDA-Canada white paper addressed the arbitration regime set forth under the existing MA objecting that it is unworkable. Specifically, under the arbitration terms of the existing MA, an arbitral tribunal is required to choose either the generic applicant’s “willing-to-pay” final offer or the registrant’s “willing-to-accept” final offer, a scheme referred to as Final Offer Settlement (FOS). CPDA-Canada emphasized that the FOS approach is inappropriate for arbitration and subjects the generic registrant to inordinate financial risk. The white paper proposed a series of minimal changes that PMRA could adopt in developing a functional data compensation scheme that levels the playing field for generic pesticides seeking market entry in Canada. Other discussion at the December 15th meeting focused on PMRA’s progress in developing a searchable database for studies in support of pesticide registration submissions and changes to the Agency’s efficacy data requirements in support of the registration of tank-mix adjuvants in Canada. During the meeting, PMRA representatives provided the CPDA-Canada Committee delegation several documents including: PMRA Guidance on Adjuvants ( Published in April 2016); an Update on the Data Protection Program; and PMRA Registration Requirements for Adjuvant Products.